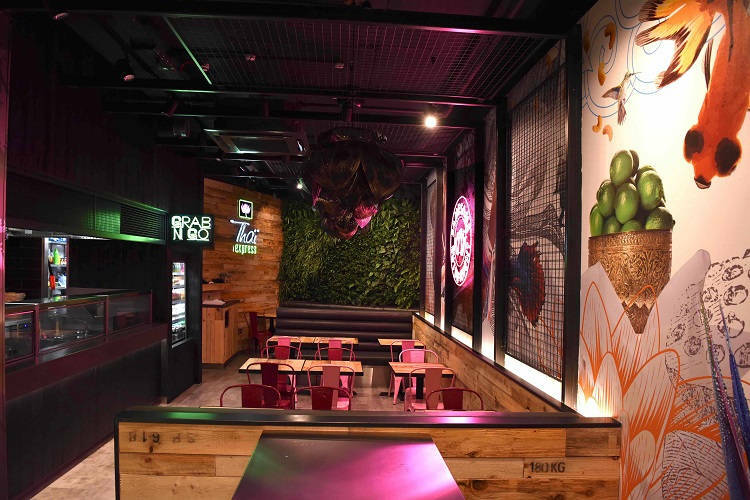 The new restaurant features a street-food style open kitchen with two wok stations to cater for customers dining-in as well as those that wish to takeaway. The interior design draws inspiration from Bangkok’s striking architecture using materials such as concrete and metal, juxtaposed with wood and greenery. 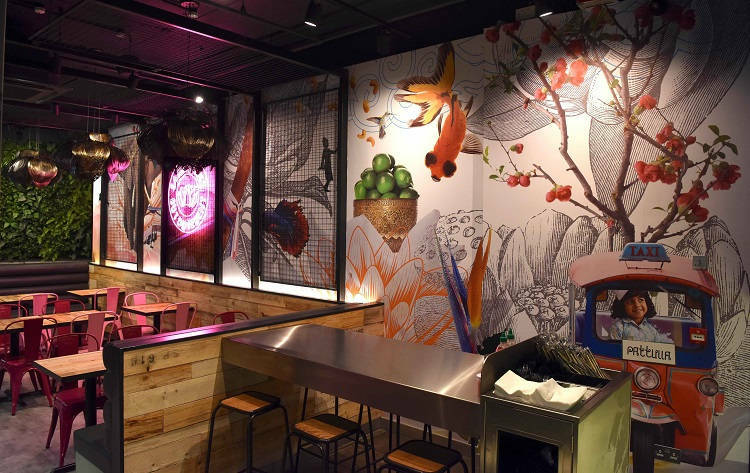 The Thai Express flower emblem is incorporated in the restaurant design with three bespoke fret-cut lotus flower light pendants, acting as focal points within the restaurant. 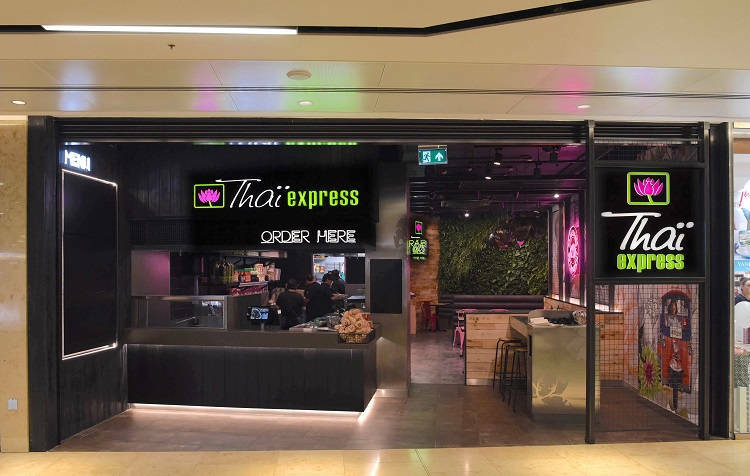 Brought to the UK in 2012 by husband and wife team, Sachin and Uzma Pattani, Thai Express now has more than 300 locations worldwide with the Grand Central location becoming the brand’s fifth site in the UK and only the second outside of London. This follows the recent news that Harlem influenced soul food operator, Holy Moly Macaroni, will open its debut restaurant opposite Tortilla, covering 1,750 sq ft. The brand, headed up by local Birmingham chef, Anthony Duffy, will also sit alongside fish and chip operator, Tasty Plaice, which recently opened a 1,100 sq ft restaurant. Grand Central, part of the iconic Bullring Estate, has established itself as one of the country’s leading retail and dining destinations. Also situated directly above New Street Station, the busiest train station outside of London, Grand Central is home to a number of aspirational brands, including John Lewis, Jo Malone, The White Company, Cath Kidston, Hobbs, MAC, and Joules with a comprehensive dining line-up completing Grand Central’s diverse offer.